Otama is the feline owner of the Pizza Cat Restaurant. She does not actively participate in missions, but still plays a vital role. 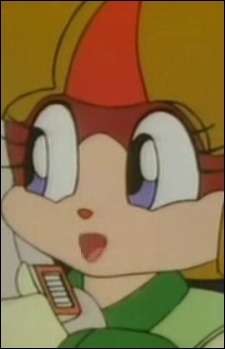 Wherever the Samurai Pizza Cats are needed, either to deliver a pizza or to battle evil, she operates the launching cannon which blasts the heroes in the air. She also handles communications and finances.